Representatives are listed below, Chen Zelan, President of IMSA, Nie Weiping, Vice Chairman of the Chinese Go Association, Guo Yujun, Deputy Director of Board and Card Games Administration Center of General Administration of Sports of China, Chen Fei, Deputy Inspector of the Hebei Provincial Sports Bureau, Ma Fuhua, Member of the Standing Committee of the Hengshui Municipal Committee, Cui Haixia, Deputy Mayor of the People’s Government of Hengshui City, Li Shaoyuan, vice chairman of Chinese Association of Automation, Ke Jie, Chinese top one Go player, Wu Hao, director of Board and Card Games Administration Center of Hebei Province and Liu Yan chairman of Five Forces Culture and Sports Development Co. Ltd. 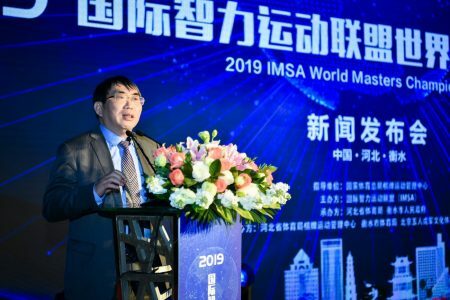 The event was approved by Board and Card Games Administration Center of General Administration of Sports of China, hosted by IMSA and organized by Hebei Provincial Sports Bureau and Hengshui Municipal People’s Government. It will be held in Hengshui from May 13th to 18th. 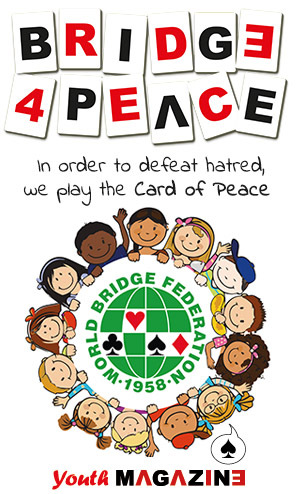 The promotion video was released at the press conference. It tells the profound charm of mind sports through various footages like the origin of human wisdom, the emergence of mind sports games and the application of artificial intelligence nowadays. The event slogan was unveiled at the end of the video, Beautiful Hengshui, Bright Future, showing Hengshui authorities strong resolution to organize a successful international A-level event. Hengshui city, located in the southeast of Hebei Province, is a lake city with comfortable living environment and featuring Confucius culture. Hengshui Lake in the center of the city is a national-level wetland and bird sanctuary and a national eco-tourism demonstration area. It is known as “the most beautiful wetland in Beijing Tianjin and Hebei and “sapphire in East Asia”. Hengshui is also known for its education quality especially for basic education given its college entrance admission rate ranked first in Hebei Province for many years. 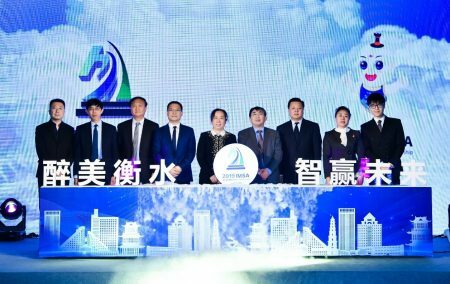 Hengshui successfully held the Hengshui Lake International Marathon for 7 consecutive years and has rich experience in international events. 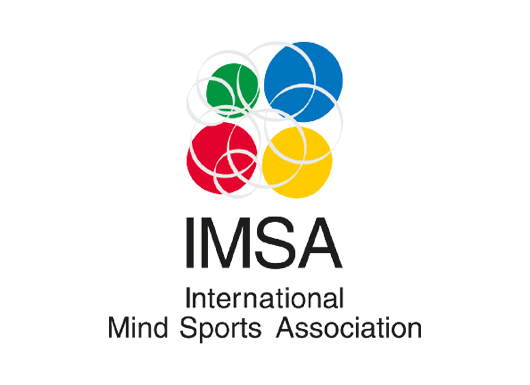 Based on these factors, Hengshui was chosen to be the host city of IMSA World Masters Championship. It is reported that the event includes five sports, Bridge, Chess, Draughts, Go, and Xiangqi and 17 disciplines and will have a total of 99 medals in gold silver and bronze. More than 200 players from over 40 countries and regions will gather in Hengshui and fight for the title. 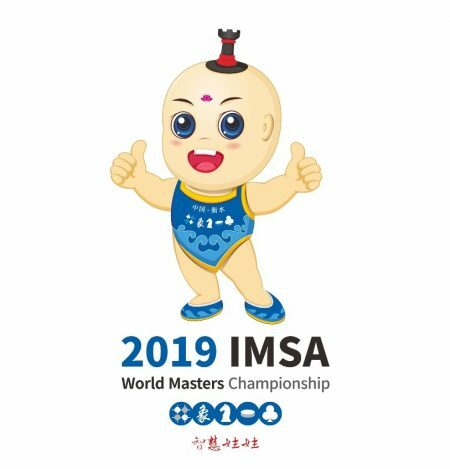 The highlight of the press conference was to unveil the emblem and mascot of the event, which embody a typical Hengshui style. The overall shape of the event emblem is “horse” in chess and the letter “h” (the first letter of Hengshui) works as the horse head and the blue-green color changes implies Hengshui Lake. The prototype of the mascot “Wisdom Doll” was taken from the characters in Wuqiang New Year’s Painting “Daji Tu” which was collected in the State Hermitage Museum in Russia, highlighting the regional culture of Hengshui and the international elements in the event. 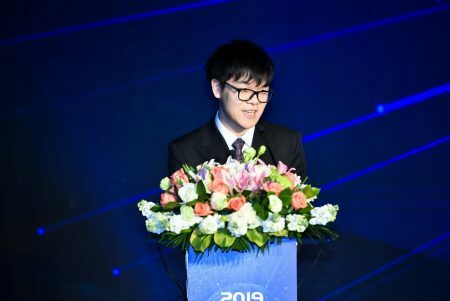 Mr. Ke Jie, as a charity ambassador and representatives of the contestants, said that he is honored to participate in the event and will engage in the competition in his best status. He extended his belief that all athletes will have a perfect experience in Hengshui and expected to deliver his speech in May in local schools to inspire students there. Authorities of Hengshui City announced that an “Artificial Intelligence Summit Forum” will be held during the event, kicking off a deep cooperation with Chinese Association of Automation. They will invite well-known experts and representatives of relevant enterprises from the field of artificial intelligence to discuss how artificial intelligence can be better used for board and card games education and promotion.